The Nashville Predators took to the ice the first time on Sunday against the Florida Panthers in a preseason doubleheader. Nashville is looking to take the next step and make it to the second round for only the third time in franchise history. Many things went well for the Predators last season, and the lineup pretty much stays the same. However, there are some things to look for this exhibition season. The biggest thing this preseason will be the National Hockey League testing out the new 3-on-3 overtime format. The Predators tinkered with the new overtime situation in the second day of training camp on Friday, and will be working on this in live-game situations in a handful of games regardless of the score at the end of regulation. Head coach Peter Laviolette talked to the media about how they’ll adapt to the changes. So who will be on the ice in the new overtime? 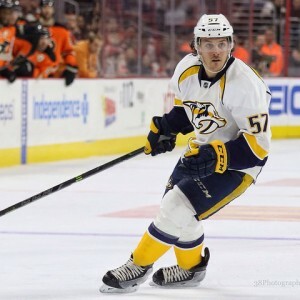 Fellow Predators writer Colin Fitts speculated in the summer about the hypothetical combinations that Nashville could trot out in the extra session, and there were some pretty good groups that could make the team a threat to get the overtime points. The Predators could be one of the teams that uses two defensemen in an overtime unit as they’ve got talented puck movers like Roman Josi, Mattias Ekholm and Ryan Ellis, the booming slapshot of Shea Weber and exciting young forwards. There are plenty of possibilities for the Preds. Nashville kept pretty quiet when it came to bringing in new players, but the team added some interesting components. Former Kontinental Hockey League scoring leader Steve Moses has already made an impression in training camp with his skill and could be the answer on the third line. Veteran blueliner Barret Jackman shores up an already stout Predators defense. He’ll bring an extra edge to the team and a physical force that will allow potential partner Seth Jones to be more involved in the offense. Jackman may also help keep opponents in line that take liberties with Nashville players because he’s been known to drop the gloves. Cody Hodgson is a new acquisition that is looking to bounce back from a tumultuous season in Buffalo. General manager David Poile signed Hodgson to a bargain-bin one-year, $1 million deal, and is hoping for a season similar to what last year’s value deal Mike Ribeiro had last year. Hodgson is slated to anchor the third line and could play like he’s got something to prove. The most talked about debate among Predators fans is who is going to make the roster. 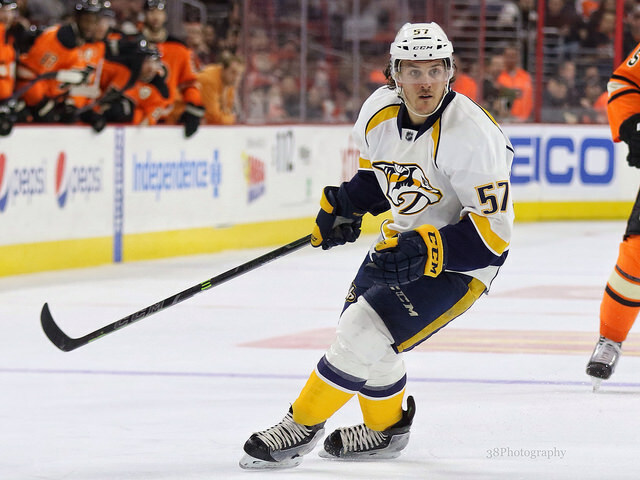 The main battle is which one of the wonderkids of Viktor Arvidsson or Kevin Fiala will get a spot on the team. Both are slated to be a big part of the Predators’ future plans, and did many good things for their minor league affiliate, the Milwaukee Admirals of the American Hockey League. There’s always a concern that a young player would be better served honing his game in Milwaukee, but it would be a big honor to make the parent club out of camp. 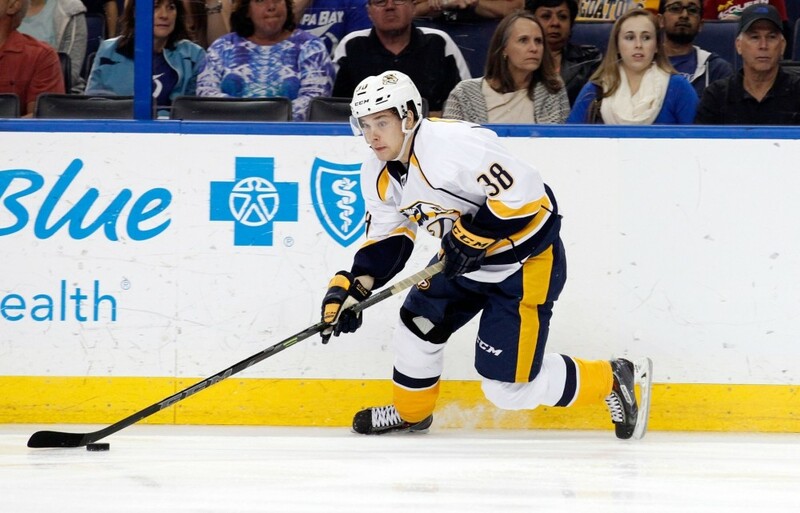 A player like Fiala or Arvidsson is a nice option to have in case of injury or ineffective play. There’s also a battle to get the seventh defenseman spot on the roster. The three pairs are set, but there’ll be some healthy competition for that spot that will be the “next man up” if someone goes down. Victor Bartley was the man that came into the lineup after Weber went down with his knee injury in the playoffs against Chicago. However, Bartley, Connor Allen, Anthony Bitetto, Johan Alm and Taylor Aronson will be duking it out for a spot on the big club. The captain had a disappointing end to his season with a sublexed knee cap, and is eager to get back on the ice. Weber says he’s ready to go, but there’s always concern when someone comes back from such a severe injury. All reports are that Weber is good to go and at 100 percent. 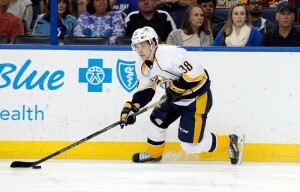 However, Weber was held out of the preseason games with the Panthers, as he wasn’t in either lineup. I asked why Weber wouldn’t be ready to go, but it looks like Laviolette is easing the captain along slowly according to Brooks Bratten and Fitts. So that’s a positive sign that he’ll be ready to go. However, the only way to tell is via live-game action. It’ll be nice to see him worry about hockey things instead of the summer filled with trade rumors. One of the major issues last season was the sputtering special teams for Nashville. The power play was ranked 25th and the penalty kill was 19th in 2014-15. It’s a puzzling statistic since the team has some pretty good defensemen and some pretty creative forwards. Fans aren’t used to the extra-man unit struggling as former coach Barry Trotz had a potent power play when he was in charge. Nashville had an 0-for-17 stretch on the power play in March and that caused lots of concern. Hopefully this year can different. The penalty kill was in the bottom-half in the league, but needs to be better if they want to deal with high-flying offenses such as the Dallas Stars, Chicago Blackhawks and others. Improved faceoff numbers could turn that trend around in Nashville’s favor. Did I miss anything on the list? Comment below if I did.